I am super picky with what I use with my hair. I have super fine, thin hair so the wrong product can leave me with grease for days. I recently started using EVA-NYC products and I am hooked!!! I start with the Clean It Up Shampoo followed by the Conditioner every other day and the Freshen Up Dry Shampoo between washes. The products smell incredible and leave my hair soft, without the greasy effect. The Dry Shampoo not only “freshens” up my hair, it gives life back to it by adding volume and shine. 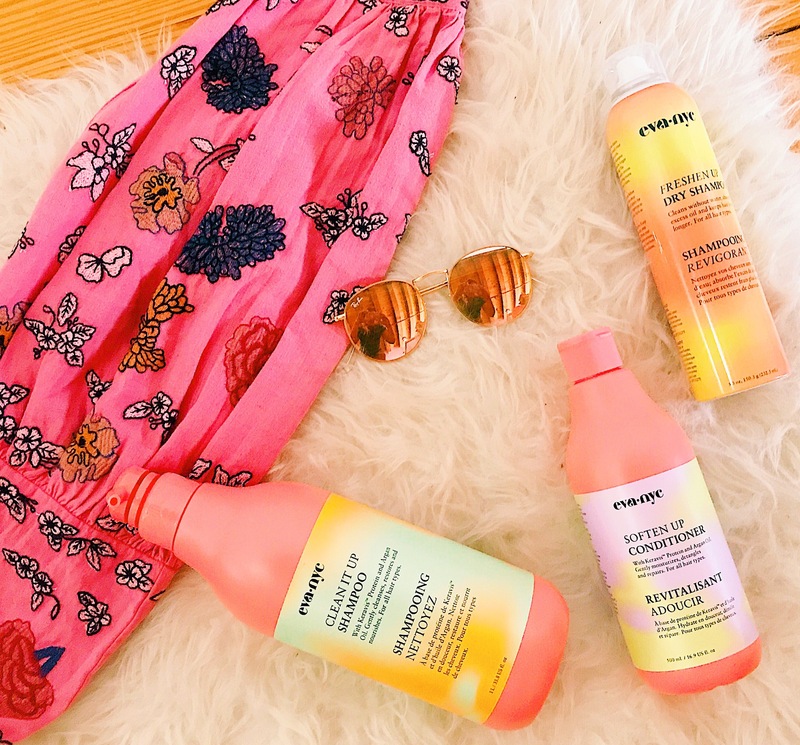 I cannot rave enough about how much I love this trio of products…plus it makes me infinitely happy opening up my shower and seeing the adorable pink bottles! Hello Kristin, my scalps seems to react with the Clean It Up shampoo. Need to wash it right away, else it starts to itch. Do you any other recommended alternatives to this? Hi! Oh no… I am so sorry to hear that!!! You might want to test out a calming shampoo – I love the Aesop line, check this one out!